My client something that he could give as a thank you to his existing clients which could also be used as a promotional item in the future. He wanted something conversational. He also knew what he didn't want... he didn't want pics of events, or anything corporate, or logos, or the 'our brief was this, so we did that' approach. 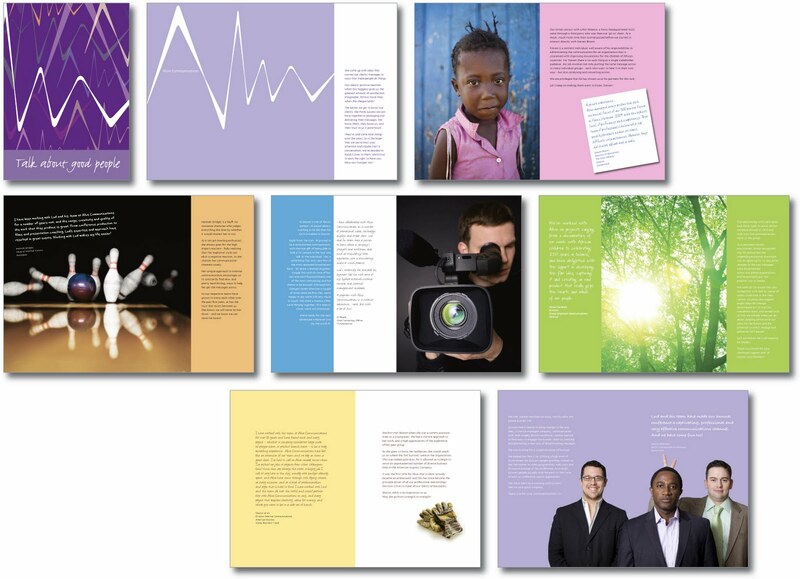 All the six case studies in this A5 booklet contain stories told by Lud and feedback from each of the clients invlolved. We're rather pleased with it!